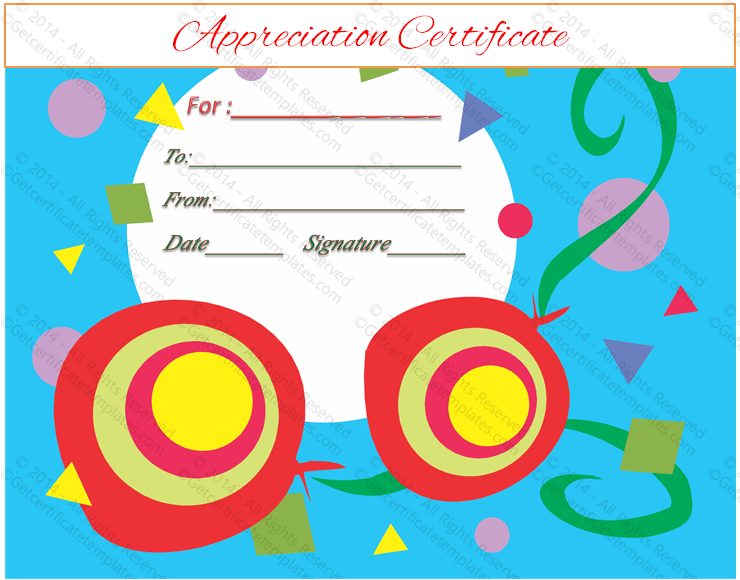 Our Shapes Certificate of Appreciation Template is a colorful, all-occasion appreciation certificate. 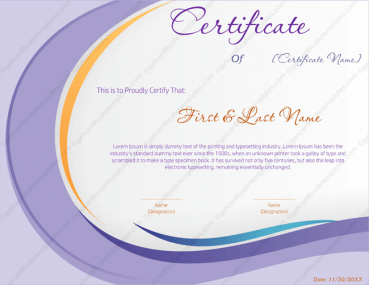 Brightly colored with a blue background, this template is appropriate for all ages. 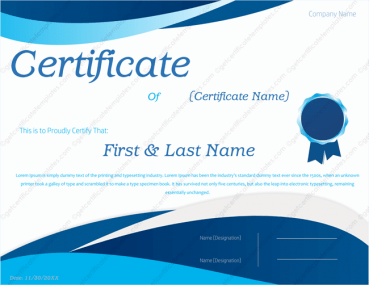 The certificate is also decorated with colorful geometric shapes that form a pleasing border around the script area. 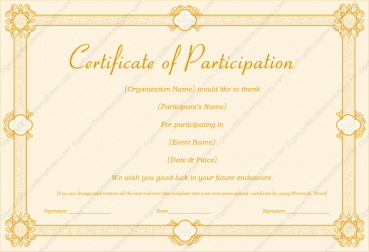 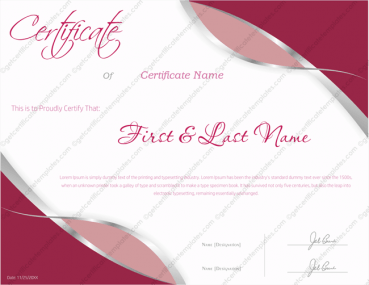 The certificate has space to include the occasion name, recipient, presenter, date, and signature. 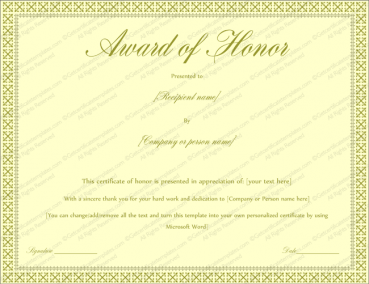 This certificate can accompany a gift or take the place of a card and be presented with a check or gift card. 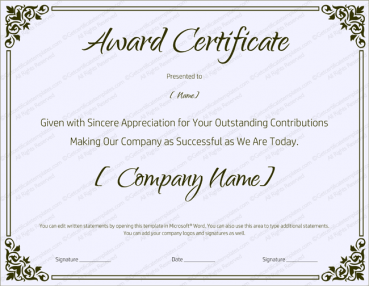 While this template is shown with a script font, the owner of the template can change both the font and color of the appreciation certificate. 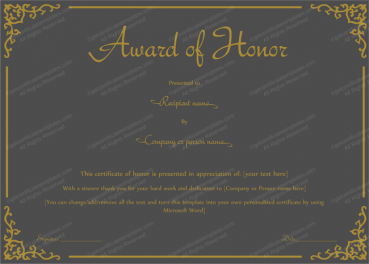 This can make the template have a favorite font or color of the presenter or recipient. 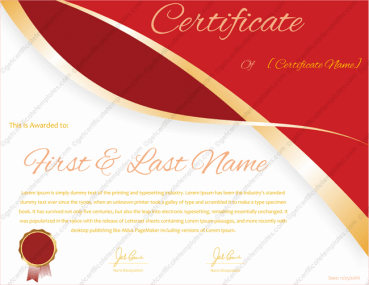 Each template can be used over and over again and simply printed out when needed. 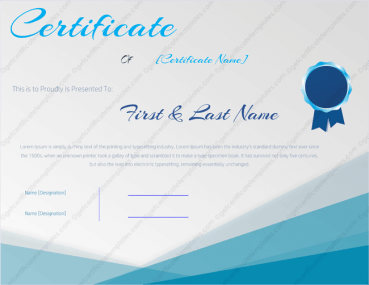 This results in a very economical way to have clever certificates at the ready for all personal or business uses.